1 Who is Sebastian Marroquin? Juan Pablo Escobar Henao was born on 24 February 1977, in Medellin, Colombia. He is an architect and author, but perhaps better known for being the son of Colombian drug lord Pablo Escobar. He’s tried for most of his life not to be associated with his father, or with the drug trade in his country. How rich is Sebastian Marroquin? As of mid-2018, sources inform us of a net worth that is at $30 million, mostly earned through success in his numerous business endeavors including architectural work. Many claim though that a good portion of his wealth was due to the illegal business his father carried on before his death. As Sebastian continues his endeavors, it is expected that his wealth will also continue to increase. Pablo Escobar was considered as one of the wealthiest drug cartel leaders during his life, called “The King of Cocaine” held responsible for 80% of cocaine smuggled into the US. He is listed as the wealthiest criminal in history, having a net worth estimated at over $30 billion during the peak his reign in the early 1990s. His endeavor to expand his cocaine business to the US proved successful due to the rising demand for the drug. He created the drug network known as the Medellin Cartel, which led to the murders of numerous politicians, judges, police officers and anyone else who got in his way. However, Pablo was tracked due to excessive telephone usage, and was located as he was trying to make a phone call to his son. The police surrounded the building he was in and he attempted to flee across the rooftops, unsuccessfully as he was shot dead by the police. Sebastian along with his sister and mother fled to Mozambique following the death of his father. They then travelled on tourist visas to Argentina, staying there to become citizens of the country. He used the name Sebastian Marroquin from the telephone book, as he believed that his original name was cursed by a voodoo priest he encountered while at Mozambique. His sister would move to the US, working as an engineer. 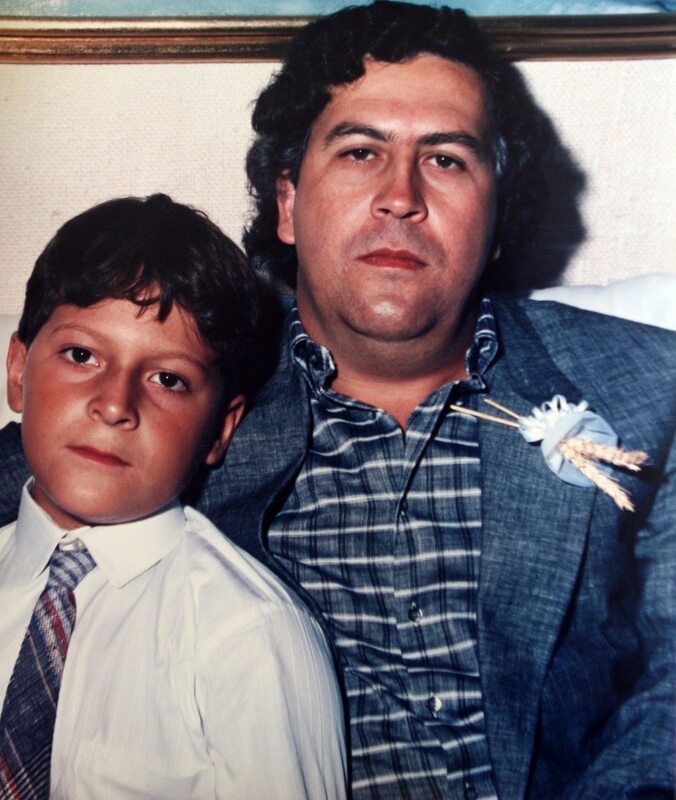 His father’s name lived on after his death, and would earn them extra income from clothing along with products of Escobar’s likeness. 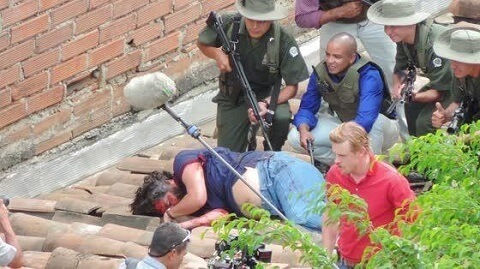 However, Sebastian prefers not being connected at all with his father, the Medelline cartel, or the drug trade in Colombia. He studied and graduated with a degree in architecture and later moved to Palermo Soho located in Buenos Aires, Argentine. He now has a wife – Maria Angeles Sarmiento – and a son, Juan Emilio. He has returned to Columbia two times – he visited his father’s grave and also tried to enter Hacienda Napoles which was his father’s 20 square kilometer estate, confiscated by the Colombian government but was not allowed to enter. The estate was later made into a museum of Escobar’s crimes, with a campground, and a public park. In 2009, an Argentinian documentary film entitled “Sins of my Father” was released having taken five years to create. In the film, it was shown that he later visited the children of his victims and apologized to them for his father ordering the assassination of their parents during his time as a drug lord. The documentary focused on ending hatred and promoting reconciliation. 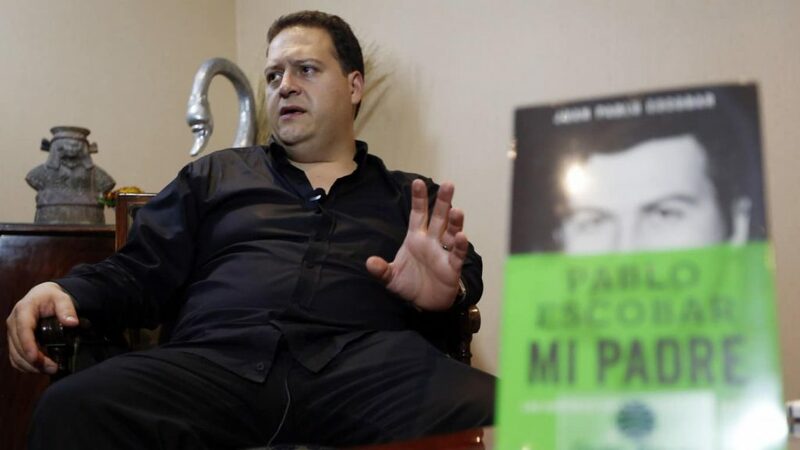 He also published a book entitled “Pablo Escobar: My Father”, actually using his birth name of Juan Pablo Escobar. Additionally, Marroquin has released his own clothing line, promoting organic material called Escobar Henao, some of the highlights of which include items from his father’s life but the business has not reported to have turned any profit; part of the money gained is said to be going to Colombian charities as well as to the victims of his father’s misdeeds. Despite his father having passed on many years ago, he is still the topic of numerous books, films and television shows, which often depict him along with his family. The family was featured during the first two seasons of “Narcos” which showed Pablo Escobar’s rise in the drug trade and the creation of his cartel. While the show was looking for a location, one of the scouts was murdered, prompting Sebastian to make a statement, in which he said that nothing has changed except the names, also stating that corruption and drug trafficking is still a very big problem in Colombia. In recent years, Sebastian has retreated back to focusing on his work and family life. There has been no recent news of him, and he is mostly living in peace in Argentina.